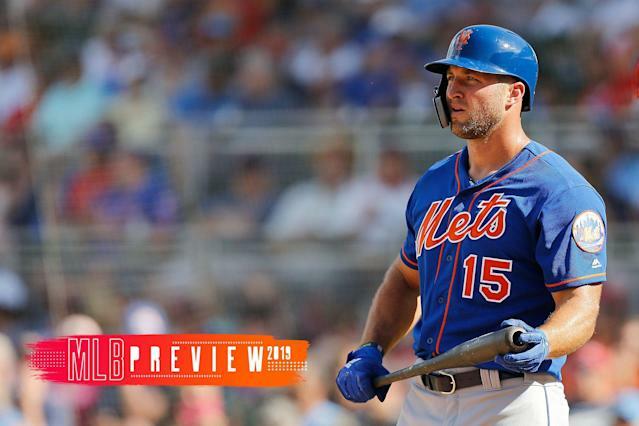 MLB preview 2019: Is this the year Tim Tebow makes the big leagues? Let’s be honest from the jump: Tim Tebow isn’t the biggest question of the 2019 baseball season. There are a lot more important things that will happen this season. But that doesn’t mean Tebow, who is trying to make the big leagues after two years in the New York Mets farm system, isn’t a compelling story. Quite frankly, Tebow is the most famous baseball player there is these days. And, as we’ve learned the last decade, people are infinitely interested in Tebow, regardless of what he’s doing. This seems like an important year in the Tim Tebow Experiment. He’ll start for the Mets in Triple-A, one step away from the big leagues. It is completely possible that he reaches the big leagues at some point in 2019. Whether by skill or sheer popularity, we’ve hit the point where the Mets are understanding what they have in Tebow. His overall numbers haven’t been Vlad Jr.-esque, but he’s at least shown some power and improvement — his .276 batting average and .336 on-base percentage in Double-A last season were big improvements from .226 and .309 the previous year. PREVIOUSLY: Which MLB team had the best offseason?